If you haven’t tried the BeautyBlender makeup sponge, you are in for a surprise. This egg-shaped makeup applicator was created by two young Hollywood makeup artists who were tired of using regular old makeup sponges. It has no hard edges, so makeup (foundation, blush) doesn’t streak as you blend it in. And the pointed tip can be used to apply concealer under the eyes, on a spot or in hard-to-reach places, like around the nose and mouth. Makeup artists are nuts for this thing — as are Oprah, Gwen Stefani and Beyonce. To buy the Beauty Blender makeup sponge, $20, visit beautyblender.net or victoriassecret.com. 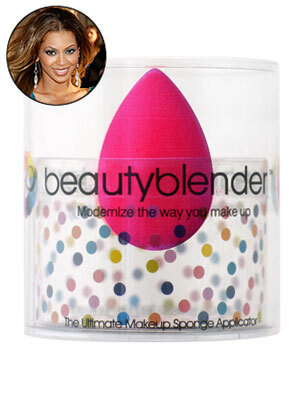 You are currently browsing the Beautyblender's Blog blog archives for January, 2007.